Over this past summer I went on a familt vacation to the Tampa, area, and of course I fished as much as I could between tourist-y stops. 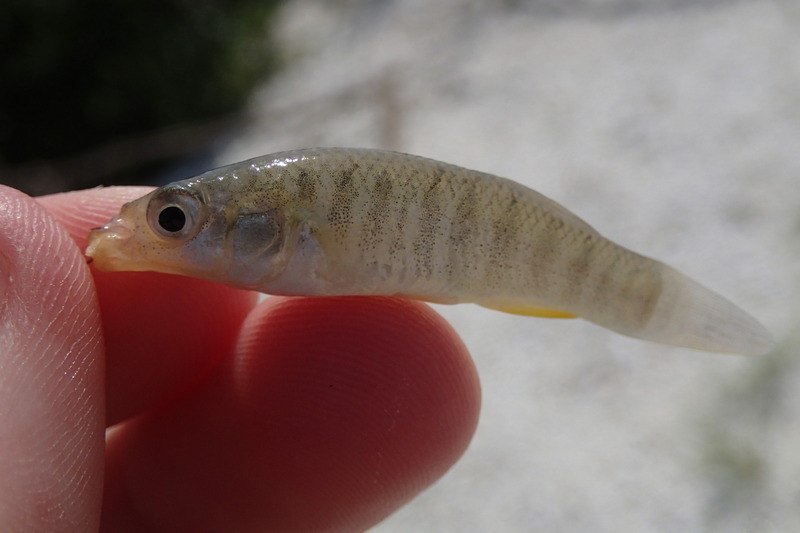 I was recently reviewing my pictures, and came across one of a killifish I had caught that looked different from the rest. 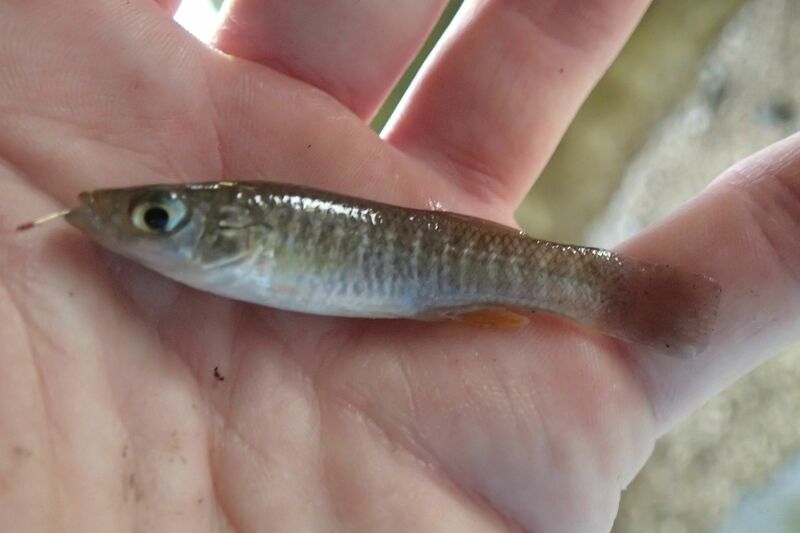 All the others I caught I identified to be Gulf Killifish (Fundulus grandis). This one's head appears to have a slimmer, longer shape, and the body is longer than the gulf killis I had caught. It also had a red-ish tale, not a pale one. I would think theres a possibility that this is still a gulf killi, as the body patterning is generally the same. 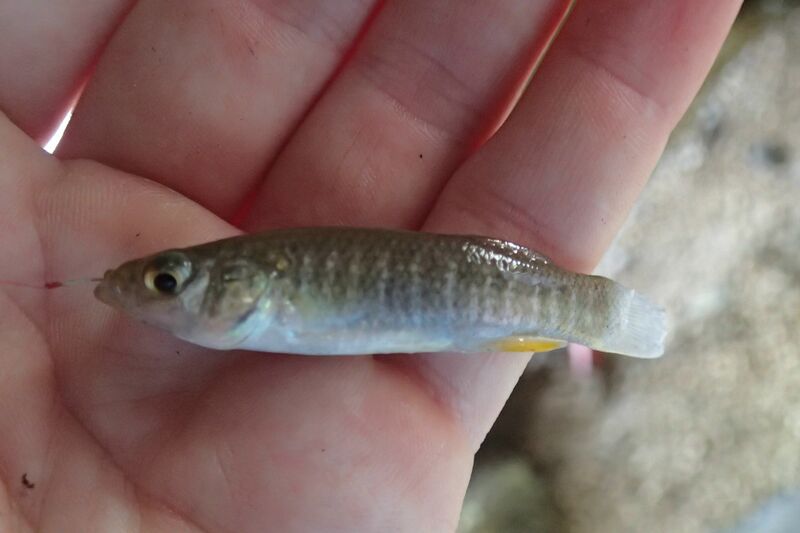 Any help in identifing this fish would be appricated. 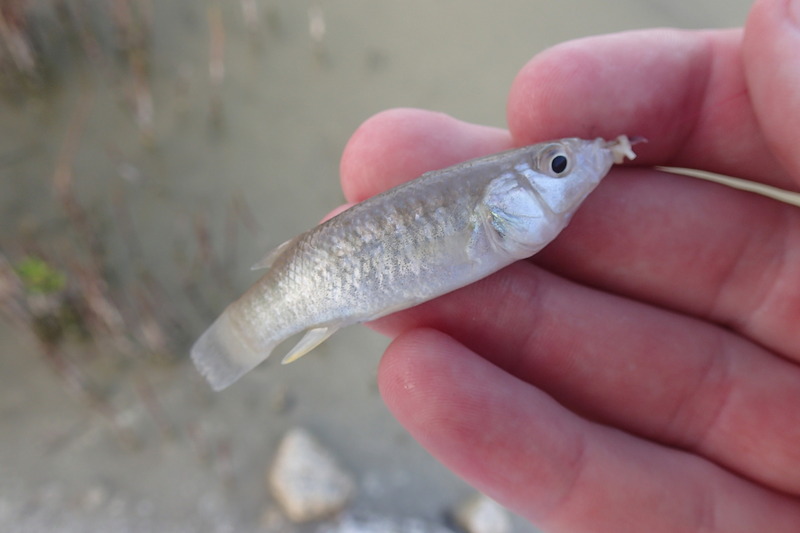 A few Gulf Killifish I caught for comparison. The first one was caught at the same location. The others were caught at different locations. I think its still a gulf killi, possibly a male. Probably another Gulf Killi, those things are crazy variable.